Coverage: All England, Scotland and Ireland group matches live on the BBC Sport website, BBC Sport app and Red Button. Both men's and women's events comprise eight teams divided into two groups of four, with the top two progressing to the semi-finals. 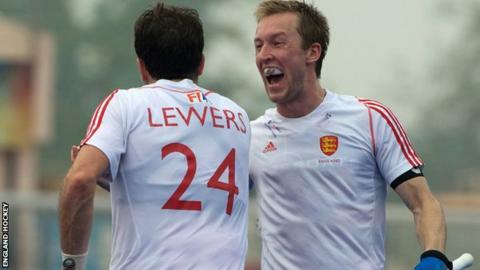 The men's squad contains 13 of the group who finished fourth at the 2013 EuroHockey Championships and four players who won the tournament in 2009 - Barry Middleton, Alastair Brogdon, Ashley Jackson and Adam Dixon. England are in Pool A alongside the Netherlands, Spain and Russia. England's women, who are in Pool B with Germany, Scotland and Italy, will be hoping to go one better than in the 2013 Championships, where they won silver, narrowly missing out to the Germans, who were defending champions. The experienced Quek returns to the squad for the first time since captaining the team at the Champions Trophy in December and replaces Emily Maguire, who is representing Scotland. Heesh, who has yet to appear for England but has played twice for Great Britain, replaces East Grinstead goalkeeper Kirsty Mackay, while Laura Unsworth needs one more appearance for 100 England caps.